We're just about 48 hours from Gregg Berhalter's debut friendly as head coach of the US men's national team as the US is set to play Panama on Sunday night (8 pm ET; ESPN2, UniMás, UDN). It's coming at the end of a long January camp, which has come at the end of a long, dark journey into the wilderness for this US program – a trek that I'd argue started nearly 10 years ago when Charlie Davies and Oguchi Onyewu were injured at the end of 2010 qualifying, and has slowly and reliably taken one wrong turn after another. Hire the wrong coaches? Yes. Cut the wrong players? Yes. Pick the wrong teams? Yes. Fail to develop or integrate a half-decade's worth of young talent? Yes. Show gaps in the regional armor with losses to teams we should dominate like Guatemala, Jamaica and Trinidad & Tobago? Yes. Miss the Olympics twice? Yes. Miss the World Cup? A long, dark journey. Ten years spent mostly in the wilderness. It is now Berhalter's job to bring the program back into the sunshine, and back home. The end of one journey will hopefully be the start of another. He talked about exactly that a month ago when this roster was announced. "This camp is the start of the process of building this group up. I’ve had the privilege of speaking to over 25 players in the last two weeks and trying to get a sense of the past and also the future and what this group is looking for," Berhalter said. "I think we can use this opportunity to start the process and set the tone for what this group is going to be like. Again, we’re talking about three things: building a culture within this team, instilling a style of play and competing in everything we do." In the first step of establishing a style, the ideas matters more than the execution. Those are good lines and I'm mad that Bobby wrote them before I did. So bear in mind that these January games are always ugly, and that these ideas for how the US should play are nascent (at least for the players), and that there will be a learning curve for Berhalter as well. Bear in mind that the majority of guys who will likely be starters in the biggest games – Christian Pulisic, Weston McKennie, Tyler Adams, Josh Sargent, John Brooks, DeAndre Yedlin, etc. – aren't here. Bear that the mistakes we see on Sunday night against Panama will be good mistakes if they come in the context of an overall system. Bear all that in mind. Bear in mind, too, that this is just the start of another long journey. The soccer gods willing, it will have a better ending than the last one. There's a 23-man roster at this camp, one that tilts strongly toward youth. Michael Bradley is easily the most experienced player (142 caps), followed by Gyasi Zardes (40), Paul Arriola (17) and Wil Trapp (11). Nobody else is in double-digits. That's part of the fun. By-and-large, we don't know what these guys are going to look like on the field against international competition. For a couple of them – forward Jeremy Ebobisse and winger Jonathan Lewis – we barely know what they look like against MLS competitions. There's a real chance to learn new stuff about brand new players who could be around for the better part of a decade. • Can Russell Canouse protect the backline, dictate tempo and switch the field of play? Berhalter's d-mid always has to be able to make the field big, and while Canouse has shown the ability to do that in spurts, it hasn't really been his main function in D.C.
We know that Bradley and Trapp can spray. We also know they struggled defensively against the better teams the US faced this past year. Canouse is more of a ball-winning presence, and has a higher upside because of that. • The Aaron Long/Walker Zimmerman partnership. Nobody likes to hear this but Brooks hasn't been good for the US since the Copa America Centenario and Matt Miazga's career progress has not been linear. If Long and Zimmerman go out there and just lock things down, it's a useful data point for the backline, at least in terms of building depth. • How creative is Sebastian Lletget in that spot? Lletget's career has been star-crossed thanks to injuries and some unfortunate coaching both in England and the US. The one time he got on the field for the US in a qualifier, though, he was awesome. And he was very good down the stretch as a pure central midfielder last year for the Galaxy. Lletget's not a pure No. 10, but he's a smart two-way player who finds a lot of the ball, is very good when on it, and completes meaningful passes. He's older than the other real option at that spot – 20-year-old Djordje Mihailovic has reportedly been one of the stars of the camp – but I just think Lletget's better. I want to see him get 70 minutes there this weekend. • Can Corey Baird be a threat cutting in toward goal with the ball on his foot? Can Lewis? I love both of these young players, but neither is anything close to a proven quantity. And neither's going to unseat Pulisic – I suspect "cutting in from the left" will be Pulisic's spot under Berhalter. That is fine and good. But there needs to be depth and flexibility, and a strong performance here can help build both. Lewis has done some stuff, man. He has 3g/4a in his 561 minutes on the field in MLS. Yes, it is wild he's only gotten 561 minutes through two seasons. Sure feels like NYCFC are squandering his talent. • What kind of frontline presence does Christian Ramirez bring? Ramirez is a reliable, instinctive goalscorer who does most of his work by being clever off the ball and decisive around the 18. That's a very nice building block, but at some point every center forward has to work to bring the rest of his teammates into the game. I thought Ramirez showed some of that both in Minnesota and LA. If he shows some more in these games, he could work his way up to fourth on the depth chart behind Josh Sargent, Jozy Altidore and Bobby Wood. • How much will Cristian Roldan be able to stir the drink? Roldan's stock-in-trade is his brain – he figures stuff out on the field faster than most of the guys around him, which is why he's been able to perform at a good level at five different spots. Playing as a No. 8 for Berhalter, though, has required a level of specificity in regards to both winning the ball and spreading the field. In theory Roldan can do both at a high level. But I've never been all that impressed with his ability to deliver long balls, and defensively he's been more of a "slow the attack down" rather than "win the ball outright" type of guy. He will probably have to be more of a spotlight player here, on both sides of the ball than he's ever been for the Sounders. There is one more thing to remember: Behalter's Crew teams almost always played a 4-2-3-1 with a true No. 10 on the field. With the US there is currently no true No. 10 to pick from (Mihailovic would probably be the closest on this roster, while kids like Alex Mendez, Richie Ledezma, Andrew Carleton and Gianluca Busio – to name four – are all in the pipeline and are experiencing/have experienced various degrees of success). 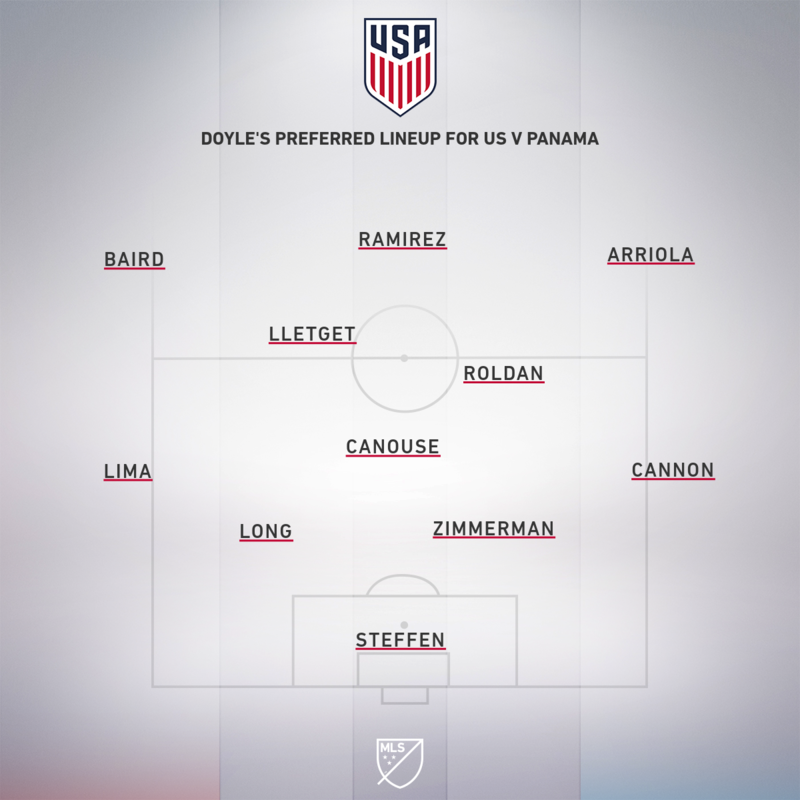 So while I think large portions of the principles Berhalter's Crew operated with will translate up to the USMNT, don't expect the exact style or midfield functions to translate. Don't expect the shape to look exactly the same. Don't expect it to be one guy unlocking the defense with a touch. It will look different. But it will also, in very real ways, look the same. Movements and various types of passes should look rehearsed. The defensive shape should look compact. There should be purpose and structure to how they play. After nearly a decade, I am so ready to see that. Let the new journey begin.